Take your training beyond the basics and have MORE FUN! Whether you plan to compete or just want to keep your dog's brain engaged and your training fresh, private K9 sports lessons are just the ticket. Each 45 minute lesson is $60. Yes, its true. You can teach an old dog new tricks! Have fun with your dog and learn to impress your guests. Earn your official trick dog titles working with a Certified Trick Dog Instructor. From the very basic foundation tricks to advanced behaviors we can help you bond with your dog while expressing your unique creative style. Rally obedience (also known as Rally or Rally-O) is a different way to learn the precision of obedience while keeping it fun. Rally is a combination of agility and obedience concepts where competitors move through a specified course using established signs that you and your dog learn involving basic skills like heeling, sits, downs, stays and jumps. Rally FrEe is a combination of rally style obedience and canine freestyle dance. The team follows signs as in regular Rally, but the moves are things like spins, leg weaves and other "dance" moves. It is a great prelude to canine freestyle. Looking to start the fun sport of K9 scent detection? Your dog will begin learning to find the targeted odors right away. 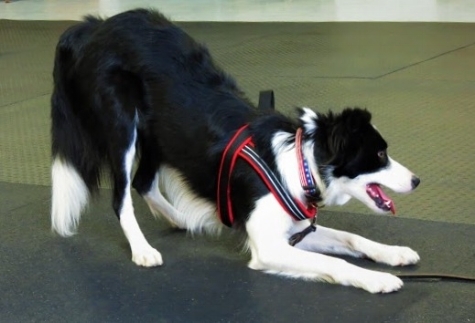 This sport is a great way to tire out the energetic dog or build confidence in a fearful dog.